Schumer's long been an open book when it comes to the topic of body image, and she's learned how important the right clothes are when it comes to confidence. 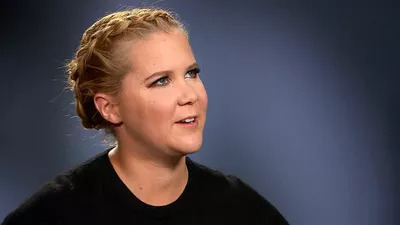 This is the year of Amy Schumer — in 2015, she's gone from rising comedy star to solid success with a big win at the box office ("Trainwreck"), an Emmy for her small-screen work ("Inside Amy Schumer") and her recent hosting gig on "Saturday Night Live." Now the writer-actress-comedian wants to see other women find success, too, and she's doing something about it by helping empower them through fashion. "It's an emotional thing," she told Maria Shriver in an interview that aired on TODAY Friday. "It's been a struggle for me my whole life, and especially just being in the entertainment industry. Standing on a stage in front of people, I can't perform my best or be confident if I'm not sure — if I'm pulling at something [I'm wearing]. And sometimes I would just want to throw in the towel and be like, 'I'm not gonna go do standup tonight.'" Read the rest of this story at Today.com.